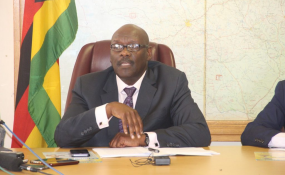 Former minister of Health and Child Care David Parirenyatwa (file photo). Acting Managing director of the National Pharmaceutical company (NatPham), Newman Batanai Madzikwa, a top lieutenant to the former Health and Child Care Minister David Parirenyatwa, was yesterday hauled before the Harare Magistrates Court on allegations of inflating prices of medicine without following tender procedures. Madzikwa (40), who was mentioned as one of the beneficiaries of Parirenyatwa's nepotism case before the same courts, was granted $200 bail by Harare Magistrate Rumbidzai Mugwagwa. It is the state case that sometime in August this year, the accused acted contrary or inconsistent with his duties as a pubic officer, cherry picking a Danish based company called Mission Pham to supply medicines worthy US$10 000 without going to tender. Madzikwa allegedly directed his financial manager Rolland Mlalazi in a management meeting held on September 3, 2018 to effect an 11 percent hike of the handling fee from 4 percent to 15 percent. Acting upon the directive, Mlalazi wrote a letter to the IT manager, Zealous Nyabadza, to hike the price, a move prosecutors said compromised accessibility of basic drugs to consumers. National Pharmaceutical is a parastatal responsible for supplying medicines to government and private health care. It is said that there is a 4% handing fee for all medical products delivered to the Ministry of Health and Child Care.